An approach to psychology that a) studies phenomena beyond the ego as context for b) an integrative/holistic psychology; which provides a framework for c) understanding and cultivating human transformation. That’s a very succinct definition. And to most people who are familiar with transpersonal psychology, that makes sense. In today’s post, I thought I would explain transpersonal psychology in the context of the ‘rest’ of psychology. When most people think of psychology, they think of professional counselors and clinical psychologists. “Are you analyzing me?” This is a question that psychology students around the world hear when they tell someone they are majoring in psychology. The thing is – there are 56 different divisions within the American Psychological Association. These divisions span from general psychology to developmental psychology to school psychology to media psychology and to, yes, psychotherapy. So, to say that psychologists are always (or only) “analyze” people is like saying doctors are always diagnosing strangers. 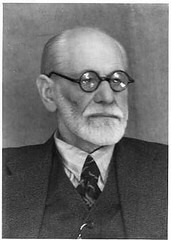 The assumption that psychology is all about analyzing people stems from some of the early psychologists, namely, Sigmund Freud. Freud helped create what we will call the “first force.” This first force is better known as psychoanalytic theory. This particular brand of psychology uses things like free association and dream interpretation to plunge the depths of one’s psyche by way of their unconscious. Through this ‘force’ of psychology, we, as humans, were taught that we have little to no control over ourselves and that we are merely the manifestation of our unconscious hopes and desires. The next force, the “second force” of psychology, is behaviorism. This is where we have the famous Pavlovian experiments where the researchers rings the bell and the dog salivates – classical conditioning. Classical conditioning is when an unconditioned stimulus (say a bell) is paired with a conditioned stimulus (say food) such that the unconditioned stimulus can produce the response one would expect to see with the conditioned stimulus. If I ring the bell every time I feed my dog, I would expect that the dog would begin to salivate when I ring the bell (and don’t feed him because he’s conditioned to expect food after the bell). Building upon Pavlov’s research is operant conditioning, from B.F. Skinner. The difference between operant conditioning and classical conditioning is that in operant conditioning, the behavior is said to be voluntary whereas in classical conditioning, the behavior is said to be reflexive. So, the “second force” of psychology tells us that humans are just like dogs in that we are just a grouping of conditioned responses. The “third force” of psychology is humanistic psychology. The emergence of this field of psychology, not coincidentally, was the same time that The Sixties came to prominence, which gave rise to such social and political movements as the civil rights movement and feminism. Humanistic psychology brought into focus a more holistic (more holistic than had been previously thought) perspective of the human. This “force” of psychology is where we saw the birth of Abraham Maslow‘s hierarchy of needs. Humanistic psychology is where we see the emergence of Carl Rogers’ unconditional positive regard as a therapeutic technique. So, this ‘force’ of psychology, builds upon the two that came before it, in that it believes that humans are more than their unconscious motives and that they are more than a jumble of conditioned responses. This ‘force’ would say that it takes a more holistic view of the human by including its emotions, too. Transpersonal Psychology is a full spectrum psychology that . . . [adds] a serious scholarly interest in the immanent and transcendent dimensions of human experience: exceptional human functioning, experiences, performances and achievements, true genius, the nature and meaning of deep religious and mystical experiences, non-ordinary states of consciousness, and how we might foster the fulfillment of our highest potentials as human beings. So, contextually, we could say that transpersonal psychology is a more complete “holistic” view of the person (through the lens of psychology). People from transpersonal psychology wouldn’t say that the other forces of psychology are less important than transpersonal psychology. In fact, from my experience, most people within the field of transpersonal psychology are grateful to those that have gone before (and developed the other forces) to have allowed room for transpersonal psychology to fill a voice. Transpersonal psychology builds upon the various areas of psychology before it and treads into some of the areas of the human experience that had not previously been studied in academia. This entry was posted in Psychology, Wisdom and tagged Behaviorism, Humanistic Psychology, Psychoanalytic, Transpersonal Psychology. Bookmark the permalink.